I ordered my favorite chocolate and put it in here. I searched for something that was used in the cake shop before. I think that sealing is also firm and suitable for food. This review is about item#35615666. I gave a present with wrapping works with very good size. It was very saved that we were just seeking products and if you have stock, delivery immediately. The thing itself is also firm and satisfactory. However, although we ordered twice, some of them were crushed at the time of delivery, and we could not use them, so we exchanged. Will it probably be crushed because there is no cushioning material at the time of delivery? I agree with simple packaging, but since it takes time and effort to exchange every time, I expect improvement. Since it is possible to combine the storage and display of works inside the case while preventing moisture, it is common to buy bulk. This review is about item#35615702. Knobwork accessories When you sell a work online, you can ship it by packing cushioning materials in a box and packing it in the box and putting it in a clear box at the event will make the contents visible and light and look great, so thank you very much , I am useful. This review is about item#35615675. 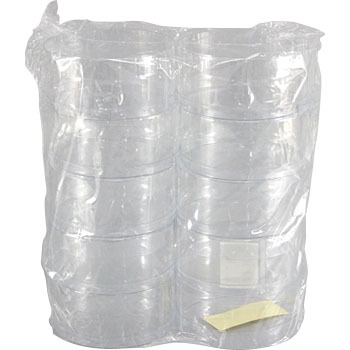 Since the degree of close adhesion of the lid is high, it is solid, so that things inside can be protected firmly. I purchased similar items at other stores, but it seems to be stronger than that. This review is about item#35615684. It was a clear box as I imagined. The price is reasonable and easy to use. It is very pleasing when putting thumbnail work and giving it to people. When presenting to a friend, I was very pleased when I put it in a case. The texture is perfect. There is no odd margin in the lid, and it is also a good place to coat perfectly. It was the same as what is used in a certain luxury hair accessory shop. It is very good so I want more size expansion. It is solid and very easy to use. Also close the lid tightly. It can be used without damaging the material. Accessories, food Anything can be used. I was able to purchase it cheaply though it is equivalent to what I had been using so far. Many items were ordered twice, but there are many items that are crushed (such as white discolored traces), and many of the cylinders can not be used due to insufficient adhesion. 1/5 has been scrapped. I do not know at which stage there is a problem at the manufacturing process, storage condition or at the time of shipment, but it is very helpful if the quality is a bit better! This review is about item#35615693.